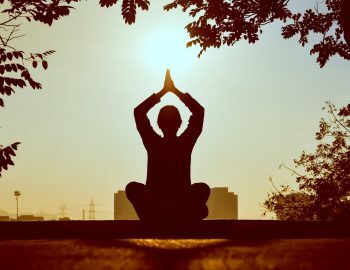 In a study from the University of North Carolina at Charlotte, people who meditated for just 20 minutes a day saw their pain tolerance rise in 4 days. Volunteers learned an ultra-easy technique called mindfulness meditation that teaches you to focus on your breath and stay in the present moment, not worry about what’s ahead. Many of these poor sufferers don’t realize that medications don’t cure headaches and that, over time, pain-relievers and other medications may lose their effectiveness. In addition, all medications have side effects. The truth is that pain medications are not a substitute for recognizing and dealing with the stressors that may be causing your headaches. Mindfulness meditation doesn’t work because your pain is “all in your head.” It works because when the pain won’t quit, stress and worry kick in, boosting levels of stress hormones. This tricks your brain into thinking the pain is actually worse than it is.1 In other words, many people make their pain worse by stressing about it. Meditation helps to reverse the stress response. Mindfulness meditation and other relaxation therapies like progressive relaxation and guided imagery are easy to learn. You don’t have to sit on the floor with your legs crossed, or go on any expensive retreats. Many people find it extremely easy to play a meditation download and de-stress for a few minutes, letting their mind relax and their body heal itself. The results may lead to fewer and a far less painful stress headache. For more information on learning this pain reducing, body healing technique check out the some of the sources listed below.